Old Memories Come Alive | "Northern Crossings"
The gift of memory is wonderful thing and when we lose it or have bad memories or difficult times memory can be a bane or a blessing. 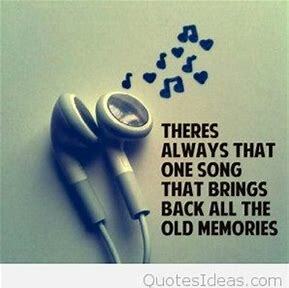 Music can make memory come alive. The sound of a hymn in church or the singing of a choir can bring back memories of a funeral or a grand celebration of life. One of my memories is living in a home that had a lot of country music played. I was visiting with a person who was trying to sell a big box of old vinyl albums and she mentioned that in that box was Johnny Horton’s album and I jumped in and asked if it was the one that had “Sink The Bismarck” on it and she said it was. That is one of those memory rushes that are like an ice cream headache. I can still sing most of those songs by memory – “Battle of New Orleans”, “Whispering Pines”, “North to Alaska”, “Comanche the Brave Horse”, “Jim Bridger”, and one of the most haunting and evocative songs I have ever heard, “When It’s Springtime in Alaska”. You can feel the frost on your breath and feel the warmth a log fire in that song. Anyway songs about memory can bring memory. The first time I heard this song by Meryl Haggard I was watching and old country air strip late at night. The prairie moon was big and bright in the east and off to the west was thunderstorm flashed orange fire into the darkness. We were sitting in a shelter belt watching the Quonset hut that had been broken into on a regular basis and we were waiting to see if the miscreants would try again. I was a guest of the sheriff on a stake out and it was fun. This came on the radio and I can never hear it without those memories coming alive. This is my cover of Meryl Haggard’s “Sing Me Back Home” and somewhere in my basement is a cardboard box full of his albums in vinyl. Missions, Missionaries and Mission Boards.